As you take a leisurely drive through the streets of La Cygne, notice all the swan planters in front of businesses and in the neighborhoods. The word "La Cygne" means "the swan" in French. 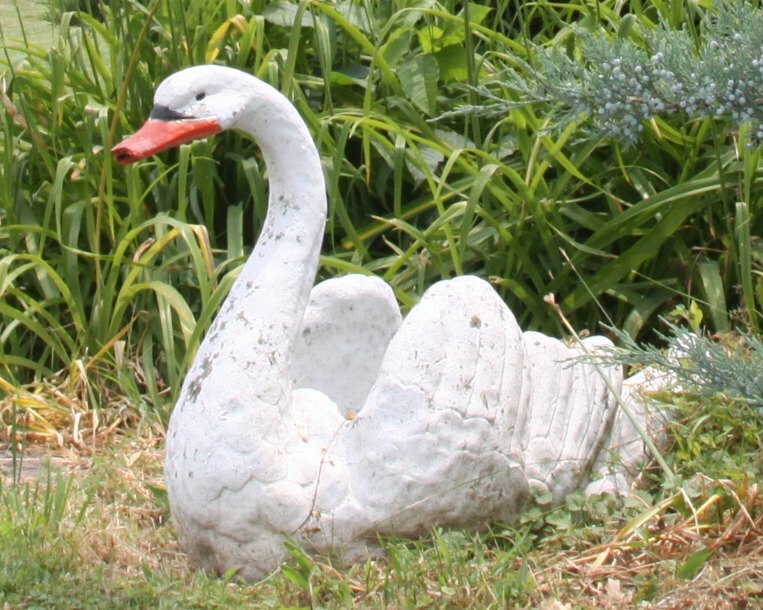 Residents in La Cygne were inspired by the legend of the Marais des Cygnes and purchased swan planters for businesses and residents to display in front of their homes and businesses. This custom has continued throughout the years. As you drive through town you will notice many different kinds of swans, from huge concrete to small decorative planters. See how many you can find.